July 21, 2014 By Jenny Z. Quality Chinese Translation Services attended the local NCTA (Northern California Translator Association) South Bay Happy Hour this past week. 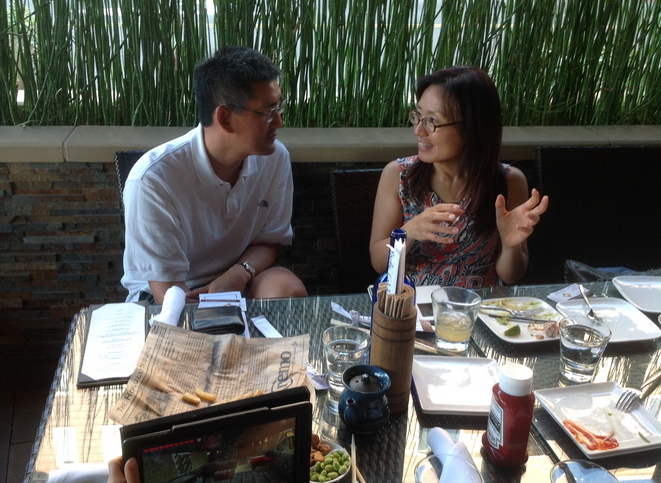 It was organized by Kazuyo Levitan and Jenny Zhou shared ideas with other local translators. It was held at the Pacific Catch restaurant in Mountain View, CA. The NCTA calendar of events is here.